Tropicraft Mod for Minecraft is such a delightful mod which will convert your Minecraft into Summer Holidays spot. Tropicraft as the name mentions itself has Tropical Realm, Palm Trees, Volcanoes beaches lakes and much much more in it. We might be able to see some resorts in future version but till now enjoy this one with some spectacular features. IMPORTANT NOTE: This easy install is for Forge Build 152 ONLY. If you’re still using 105 or 108, you need to install ModLoader before Forge.For a Windows install, follow these steps. This may also work for Macs as well. 1. Delete META-INF. This is always important. 2. Search for your minecraft.jar, located in your .minecraft/bin/ folder and open it with something like 7zip. 3. The third step requires you to install MCForge. Download and place the contents of one of these zip files into the .jar. The compatible builds are 105, 108, 152, and 160. 4. Place the Tropicraft.zip file into the .minecraft/mods/ folder (unextracted). If you don’t have the folder, create it. 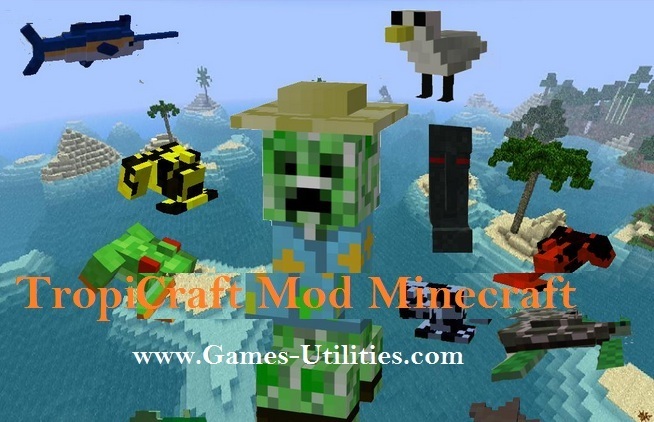 So guys now you will be able to play latest Minecraft Tropicraft Mod with your Minecraft. There are some features which are going to be included in the upcoming version. Have fun and keep coming here to check the latest updates.